Pumpkins Everywhere in Oatmeal, Smoothies, and …? IT’S FALL! PUMPKINS ARE EVERYWHERE, ..and they offer so much more, than jack-0-lanterns for Halloween, and pie for Thanksgiving. Aside from decorating our front entrances and hearths, pumpkins can be enjoyed in so many sweet and savory foods…and it seems they are healthy too! THE TEMPERATURE WAS IN THE HIGH 60’S and sunny early this morning… a great morning for oatmeal. As I opened the pantry to prepare breakfast, I noticed a can of Libby’s pure pumpkin puree. The label on the can suggests pumpkin is chock full of vitamins. Pumpkin is an “excellent source of vitamin A and fiber” and is very low in fat (no trans fat or saturated fat), only “4 g sugar and no preservatives” added. That’s a lot of healthy beta-carotene! WHY NOT PUMPKIN OATMEAL? I added a couple of tablespoons pureed pumpkin to each bowl, along with raisins, walnuts and a sprinkle of brown sugar. 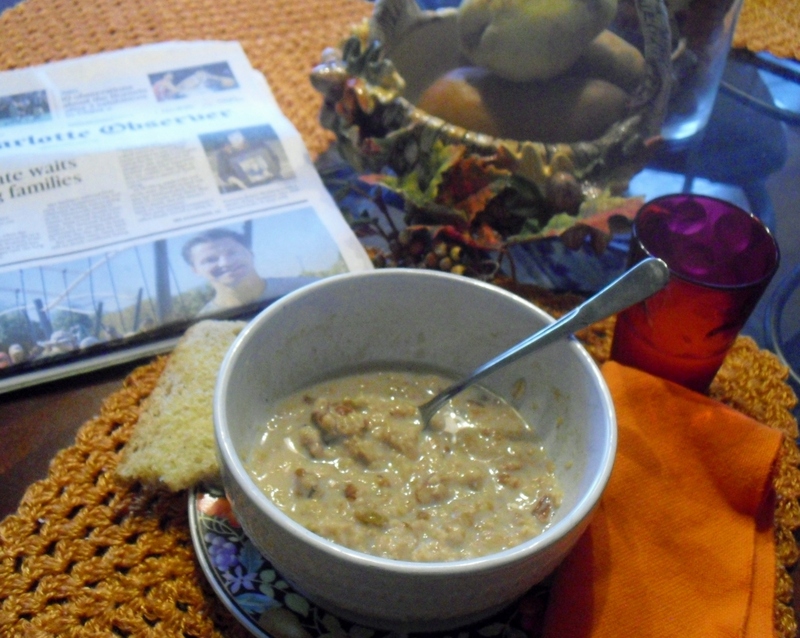 Pumpkin oatmeal, orange juice, whole wheat toast, coffee and the morning paper. What a comforting way to begin a Fall day! 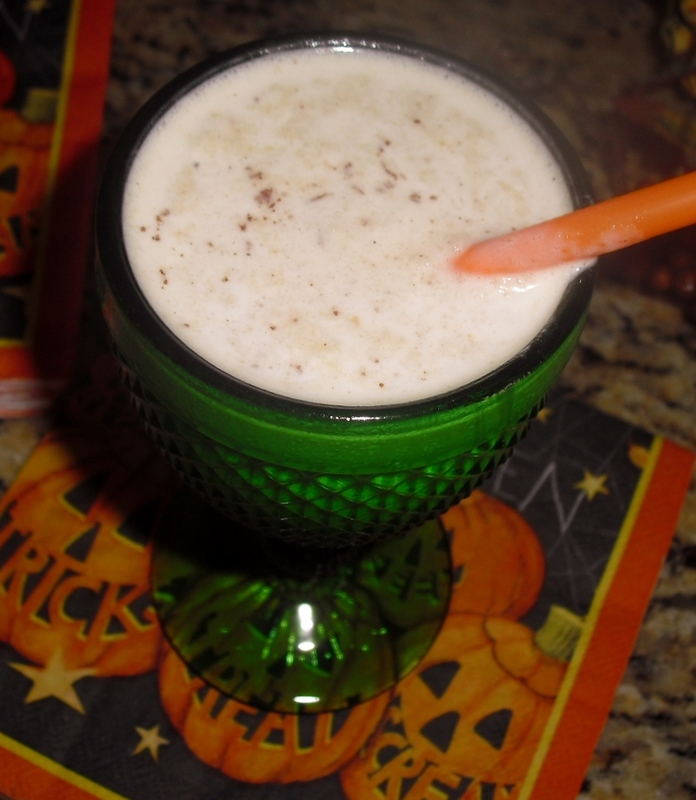 AFTER AN AFTERNOON WALK walk with our dog Bear, I enjoyed an icy… rich tasting… pumpkin smoothie. After blending, a dash of grated nutmeg was added on top. Hmmm. So refreshing. WHEN I WENT GROCERY SHOPPING LATER at Trader Joe’s store, I found that pumpkins had taken over the store! There was pumpkin soup, pumpkin pie, pumpkin salsa, pumpkin corn bread, pumpkin pita bread, pumpkin cereal, pumpkin cream cheese, pumpkin ice cream, pumpkin latte coffee, pumpkin ravioli. pumpkin muffin mix, pumpkin waffles, pumpkin butter, …and more. WOW. I had no idea. I PLAN TO KEEP SOME CANS of pumpkin puree on hand this Fall to see where the pumpkin inspiration takes me. 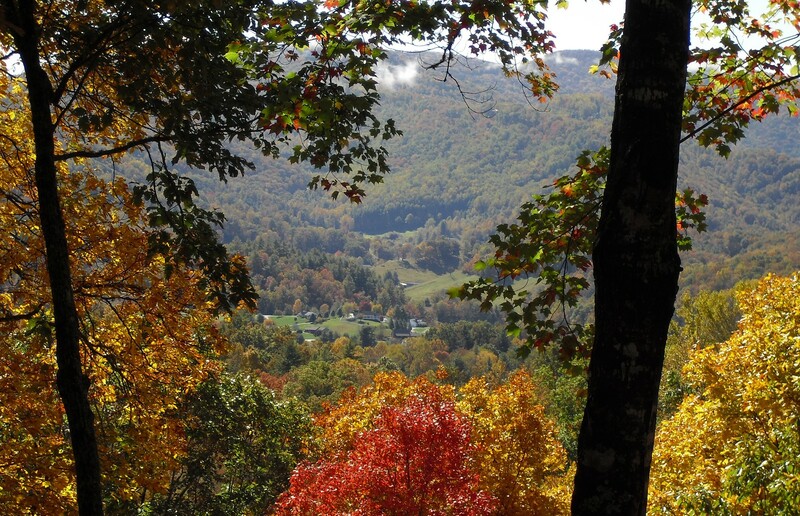 For now, it’s time to savor the transition to Fall and plan a weekend in the beautiful North Carolina mountains.